데뷔 12주년, 마들렌의 12주년을 기념하는 2018 시즌그리팅이 준비되었습니다. 2018 시즌그리팅은 영생군과 마들렌, 12년간의 행복했던 기억들과 함께할 예정입니다. @ 입금양식 / 입금 후 ysstyle1103@naver.com으로 이름, 전화번호, 주소, 수량 발송해주세요. - 뮤지컬 All Shook Up 현장에서의 배부도 예정되어 있습니다. 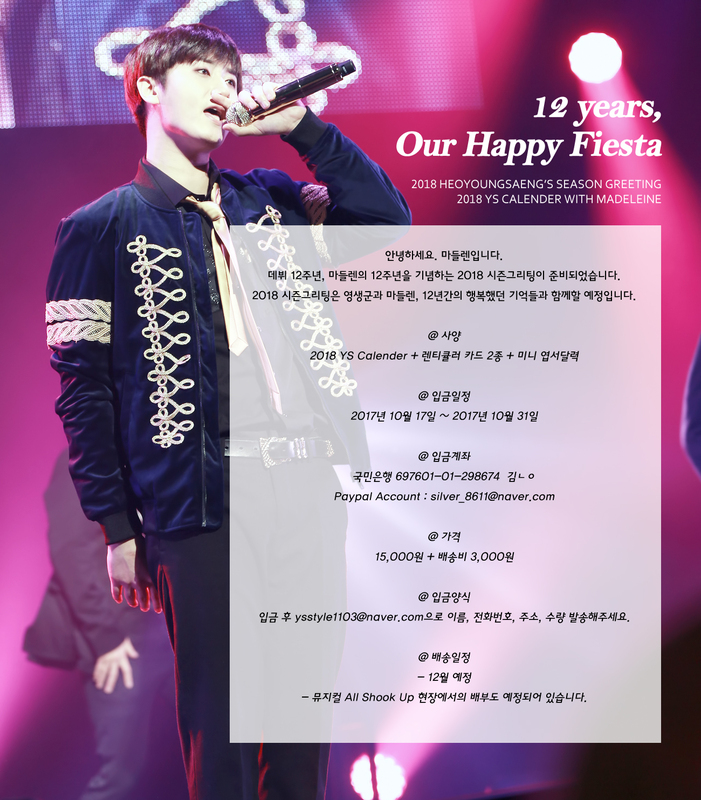 We prepared 12-years anniversary of the YS Debut and beginning of Madeleine. happy memories for last 12-years of YS and Madeleine. because the EMS charge is different with each countries.Thank you. - Also we plan to offer delivery service at All Shook Up theater.